Chicago There are a lot of dumb fake holidays out there, and National Grilled Cheese Day this Saturday, April 12th is... not one of them! 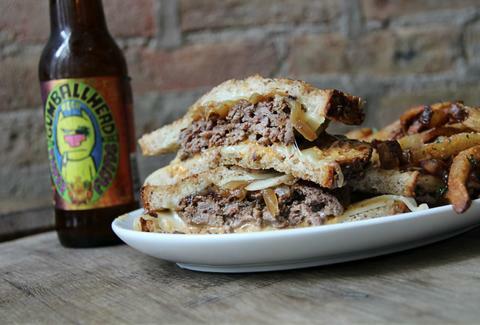 Here to help you celebrate the only American holiday better than Flag Day, we've rounded up five limited-run grilled cheese specials across Chicago. 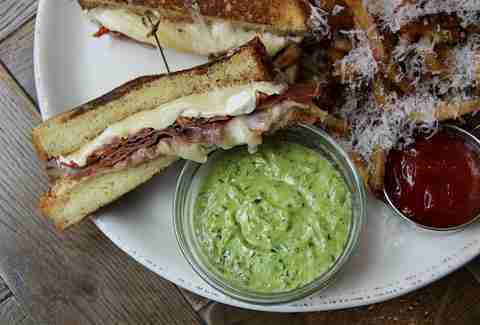 For one day only, Siena Tavern is slinging a "Todo Italiano” grilled cheese: fresh mozz, Fontina, Stracchino, prosciutto, oven-dried tomato, truffle butter, and pesto aioli. It’s served on brioche -- which is technically French, but we're equal opportunity grilled cheese-ists. 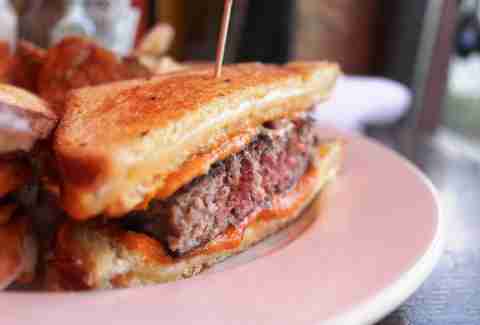 April’s grilled cheese special is actually a grilled cheese... burger... special. Two brioche/smoked Gouda/Fontina grilled cheese sandwiches soaked in a tangy tomato soup reduction that both sandwich a classic, juicy Grunts patty. 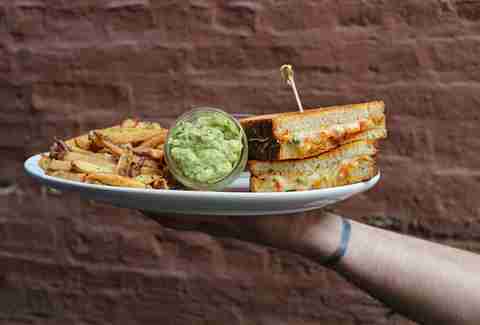 This Downtown tavern’s limited-edition, Southwest-inspired brioche grilled cheese comes with Monterrey Jack, Chihuahua, cheddar, pico de gallo, tortilla strips, and a side of house-made guac and fries. The definition of a good deal? 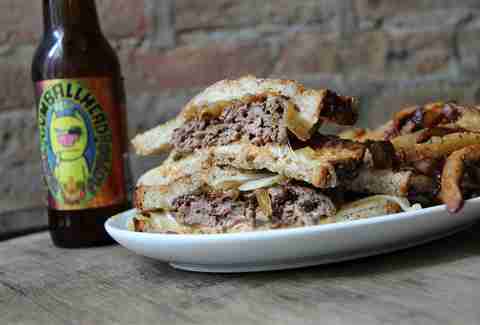 A meaty grilled cheese with a 4oz burger patty inside of it, along with white American cheese, grilled onions, special sauce, a side of fries, and your choice of craft beer -- all for $10. 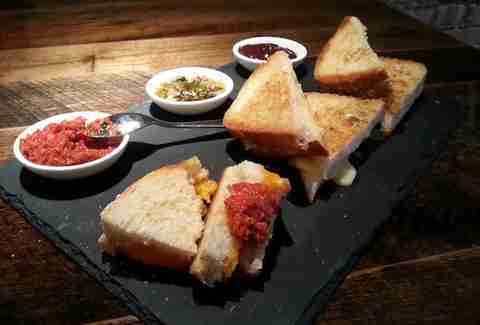 Grilled cheese flight!!!! BP's letting your mouth battle with three irresistible GC varieties: a traditional with Widmer's 1Yr cheddar and tomato tapenade, Castelinhos with charred scallion pepper jelly, and Maxx Extra with chocolate ganache.